With the PlayStation Experience set to start later this weekend, it seems one of the surprises planned seeped out ahead of time and it’s a big one. As the title lets on, Capcom’s planned announcement of Street Fighter V leaked a wee bit early. 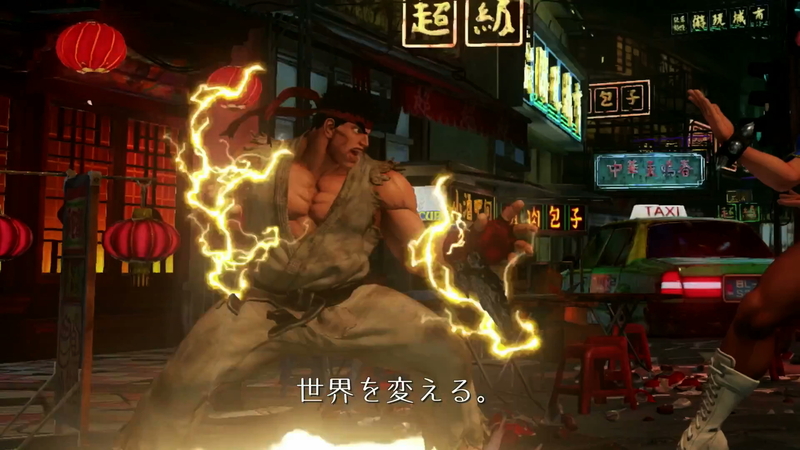 The teaser, which shows live-action shots from Street Fighter tournaments and gameplay from past games from the series, and talks about rising up. It then breaks to a few seconds of gameplay until settling to show the official logo with the statement that it’s exclusive to the PlayStation 4 and PC. Check out the screen-grabs in the gallery below. Before PlayStation fans chalk this up as a win for Sony, bear in mind that it hasn’t been confirmed if this means it’s a timed-exclusive or something of the sort. We’ll hopefully know more details at tonight’s The Game Awards or PlayStation Experience event over the weekend, which our own Chandler Wood will be attending. In the meantime, go watch the video before Capcom pulls it.